& Air Conditioning Service Providers! * Help desk available 24/7. * Asset are tagged with quick read codes. * Jobs are sent to the engineers mobile device. to meet our customers set criteria. * Large van stocks for fast first time repairs. * Dedicated Operations Manager to support the field. * 4 hours and above response times. * Parts department available 24/7 for technical back up. Pub, bar or restaurant? Find out why we’re the best choice for your business. From small value projects to design and build scope, Flowrite is able to deliver all solutions. Enjoy the perfect indoor environment year-round with Flowrite. Flowrite’s experts have decades of experience across a wide range of disciplines. 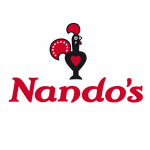 Flowrite have been supporting Nando’s for over 3 years, servicing and repairing our under counter and walk in refrigeration. During this time Flowrite have developed their service offering constantly looking at ways to deliver high performance standards. The team recognise the importance of a swift response and good communication to maintain an estate of close to 400 properties. Flowrite offer a personalised service and work closely with our own team to provide a high level of support. Since Whitbread has been working with Flowrite it has developed a strong relationship in a short space of time; the team are very proactive in all aspects in the reactive planned maintenance areas of the business. Flowrite has introduced innovations within their field which they are currently rolling out to the Whitbread estate as a whole. It must be said the communication and team ethic at Flowrite will take them to a great standing in their service field.